I don’t know many people who are enthusiastic about red light traffic cameras. In my experience, they easily cause as many problems as they solve. People slam on their brakes to avoid oft-shortened yellow light cycles. Others have been getting tickets for making rolling right turns on red, “guilty” of violating a three-second-stop rule that’s never posted. And many of us know someone who’s received a false positive ticket – one issued despite the driver not doing anything wrong (or even being in the car). Much of this evidence has been anecdotal in the past, but a number of red light camera studies seem to back up the fact that these “safety” devices are causing more problems than they solve. In Baltimore, Maryland, an independent audit found an error rate of over 10% in 2012, meaning one out of every ten tickets was improperly issued. A brand new study of red light cameras in Chicago, conducted by Texas A&M Transportation Institute for the Chicago Tribune, showed that the devices caused a 22% increase in rear-end collisions that caused injury. Those accidents were likely aggravated by the fact that city transportation officials reduced the timing of yellow lights under the federal standard of 3 seconds – almost certainly done to boost the number of tickets issued and revenue raised. You almost can’t blame cities for being taken in by the cameras and skirting the rules – automated red light tickets are huge moneymakers. In the example above, Baltimore residents were hit with $2.8 million in undeserved fines. In Chicago, simply reducing the yellow light timing raised $7.7 million. And because the private companies that install the red light cameras often get a sizable cut of those fines as part of their contract, there’s an incentive to break the rules on their end as well. In October 2014, three people who work for Redflex, one of the largest suppliers of red light cameras in the country, were indicted on federal corruption charges. Redflex contractor, Martin O’Malley wound up pleading guilty to being paid $2 million for his services, a sizable portion of which wound up being funneled to the Department of Transportation as a bribe. Redflex CEO Karen Finley also faces federal charges. Chicago has since ended its contract with the company as a result. Chicago isn’t the only place moving away from the intrusive tech. The governor of Ohio signed a law in December that requiring the physical presence of an officer to issue a red light ticket, effectively rendering much of the states’ cameras moot. New Jersey, meanwhile, suspended its lucrative red light ticket pilot program on December 16, 2014 to analyze data. NJ Governor Chris Christie, a potential 2016 GOP presidential candidate, has already said that his “inclination” is to not renew the program. Public polls on the subject of red light cameras have been mixed. Still, there’s evidence that red light camera scandals and malfunctions are taking their toll on public support. "The public has to believe that this is a safety countermeasure and not a moneymaking scheme, and that it is a fair system," Joseph Hummer, professor and chair of civil and environmental engineering at Wayne State University in Detroit, told the Chicago Tribune. "The fairness is critical to it if people are going to accept these cameras … that they are not arbitrary." I am in California, where we once had 106 cities with cameras and now there’s only 42. But those remaining cities are dug in! I see a variety of motives on their part. Some like the money (our tickets cost $500.00). Some think it promotes safety. In some cities, their personnel has grown too close to their counterparts at the camera company - or they hope to land a job after they retire from the PD. And some cities are doing it to keep the barbarians out, although they would never say that out loud. Beverly Hills, where the council just voted to expand their already-punitive system by 2/3 and also to add post mounted number plate cameras, could be an example of that mentality. 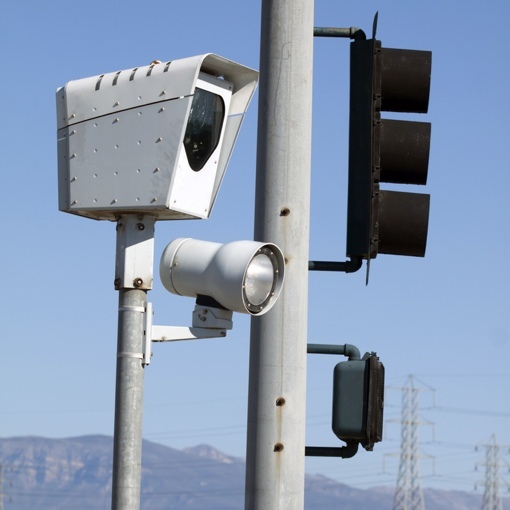 If you are in California or plan to visit, do a search on snitch ticket and another search on red light camera no consequence, so you’ll be prepared. Because just one of our camera tickets can ruin your whole day. Red light cameras are a hated and dying industry. Residents of cities and states that use them need to write or call their elected local and state legislators to insist the cameras be banned by law and all existing cameras be taken down. Red light and speed cameras require deliberately improper and less-safe traffic safety engineering parameters to ticket mostly safe drivers for money. Enforcement for profits is wrong 100% of the time.